HEALTH is off to a good start in Bundaberg this new year as figures show a drop in the number of notifiable conditions reported. But as year-on-year figures up to mid-December 2018 indicate a drop-off in a number of reported cases, Wide Bay Public Health physician Dr Margaret Young said numbers were subject to fluctuation. According to Queensland Health's notifiable conditions totals, the Wide Bay region has recorded reduced reports of mosquito-borne diseases, influenza, whooping cough and salmonella. Figures showed Barmah Forest Virus cases dropped from 49 to 16, incidents of Ross River Virus dropped from 137 to 85 and Dengue Fever went from five to three. Ms Young urged people to stay cautious. 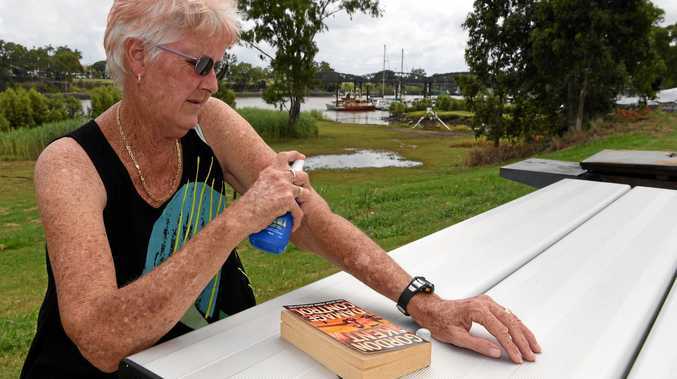 "Notifications of mosquito-borne diseases, including Barmah Forest and Ross River viruses, fluctuate year-to-year due to the timing of rain and people's behaviour,” she said. Reported influenza cases in previous years had averaged a yearly tally of 763, which last year reached just 410 cases. "The overall low numbers of influenza in 2018 reflect a high uptake of both funded vaccines and private market vaccines during 2018,” Ms Young said. Other factors included improvements to the vaccines provided to those aged 65 and over, new funded vaccines for children aged six months up to their fifth birthday and a better uptake of the funded vaccine for pregnant women. "While the 2018 overall number reflects a decrease, there has been a spike in numbers towards the end of the year, which is a reminder that influenza can occur in summer and anyone with flu-like symptoms should take steps to protect others,” Ms Young said. Whooping cough was another illness that had dropped significantly on previous years, by more than half from 49 to 18, but again the health physician urged Bundaberg residents that numbers had increased toward the end of the year. "Overall numbers for 2018 indicate a low year... however at the end of the year numbers have risen in our community and across Queensland,” she said. "This may indicate the start of an increase in numbers which tends to occur... every three to five years. "It is important that parents ensure infants and young children are vaccinated on time, children in Year 7 take advantage of the school immunisation program, and that pregnant women are vaccinated early in the third trimester.” Reported cases of salmonella dropped from 215 to 178 cases.